With the widespread commercial availability of connected devices over the past few years, it’s safe to say the Internet of Things has officially gone mainstream. You may not be aware, however, that the concept of machines communicating with one another via the internet has been around for a while. The origins of IoT – Coke, coffee or toast anyone? 1980s: One of the first internet connected devices was a “smart” Coke machine at Carnegie Mellon University in the early 1980s. 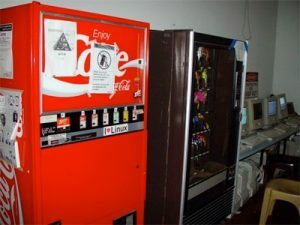 Necessity drove this invention – graduate students wanted to know if the nearby Coke machine was loaded with cold beverages without leaving their desks. 1990s: For the 1990 Interop technology show, John Romkey created a toaster that could be operated over the internet. He connected the toaster with TCP/IP and it had two functions: on and off. Still, it provided one of the first concrete examples that the internet could be used to connect everyday things. Also in the early 1990s, the famous Trojan Room coffee pot at Cambridge University demonstrated the first use of a public webcam. 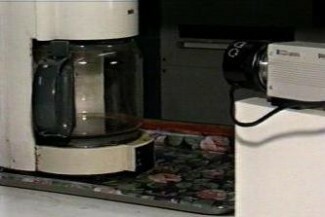 Rather than navigate several flights of stairs to see if their coffee had finished brewing, researchers set up a camera that sent images of the coffee pot to their computers over the internet. 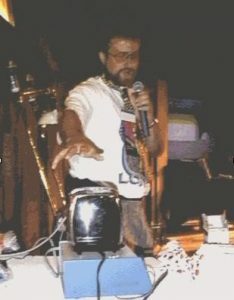 In 1998, Mark Weiser, the father of ubiquitous computing, developed a connected water fountain. The flow and height of the water corresponded with the pricing trends and volume of stock on the NYSE in real time. Finally, in 1999, the phrase “Internet of Things” was first used in a presentation by Kevin Ashton, co-founder of the Auto-ID Center at MIT, while working for Proctor and Gamble. In 2018, the Internet of Things is a daily topic of discussion. CES 2018 in Las Vegas showcased the vast opportunity of IoT, and Gartner projects 20 billion connected devices will be online by 2020. The IoT umbrella is vast, and the many industries it covers – from smart homes and connected offices to manufacturing and agriculture – each have their own protocols, interfaces and hardware. This lack of interoperability is one of the biggest challenges facing IoT adoption. With billions more IoT devices expected to come online over the next few years, the Open Connectivity Foundation (OCF) is bringing the industry together with an open standard that will allow all devices to discover, learn each other’s capabilities, and communicate with one another, regardless of manufacturer. In the not-so-distant future, nearly all aspects of our daily lives will be touched in some way by connected devices. The “brain” described nearly a century ago by Nikola Tesla will consist of data-collecting sensors all working together in harmony to make our lives easier. One path is clear: At some point interoperability and open ecosystems must prevail in order for the IoT to reach its full potential – and this is the key goal driving OCF’s efforts.